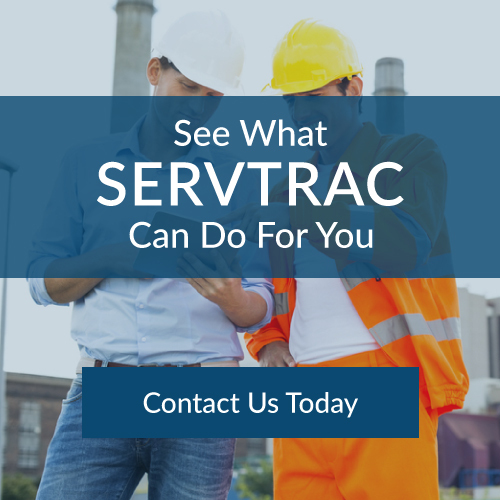 SERVTRAC® Inventory Management offers a scalable solution that can support multiple locations. 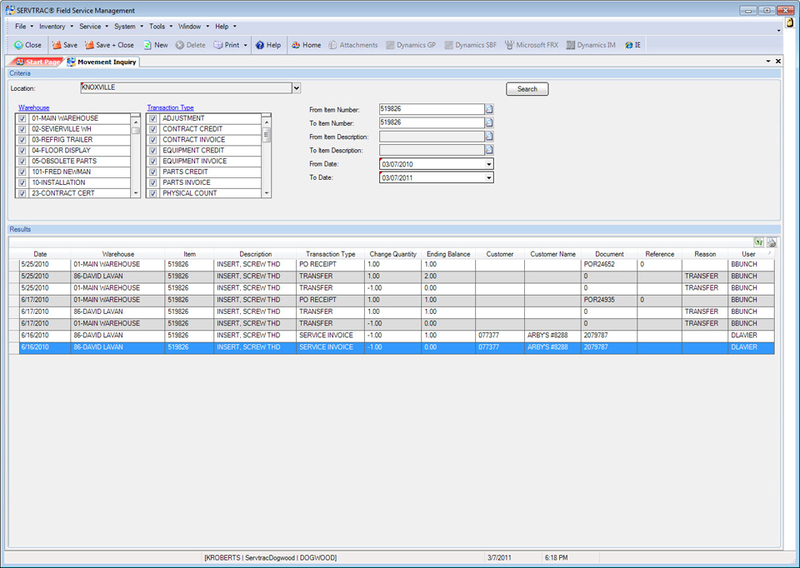 Every part or serialized item is tracked across single and multi-warehouse environments. 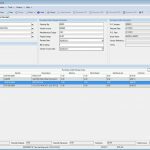 Purchasing operations align with product management to provide better visibility between supply and activity to users across departments. 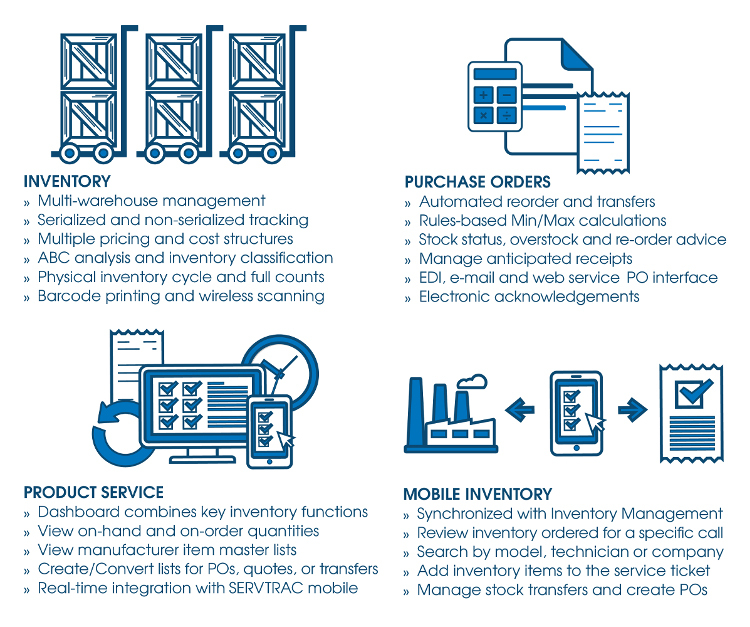 Inventory, Purchase Orders, Product Service and Mobile Inventory are all part of the SERVTRAC® Inventory Management solution. 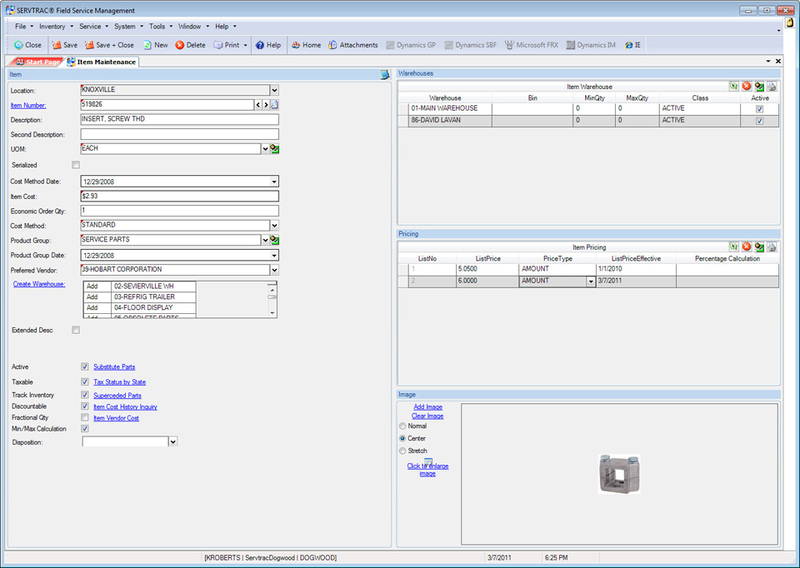 Integration between each module encourages a process that flows logically from end-to-end. 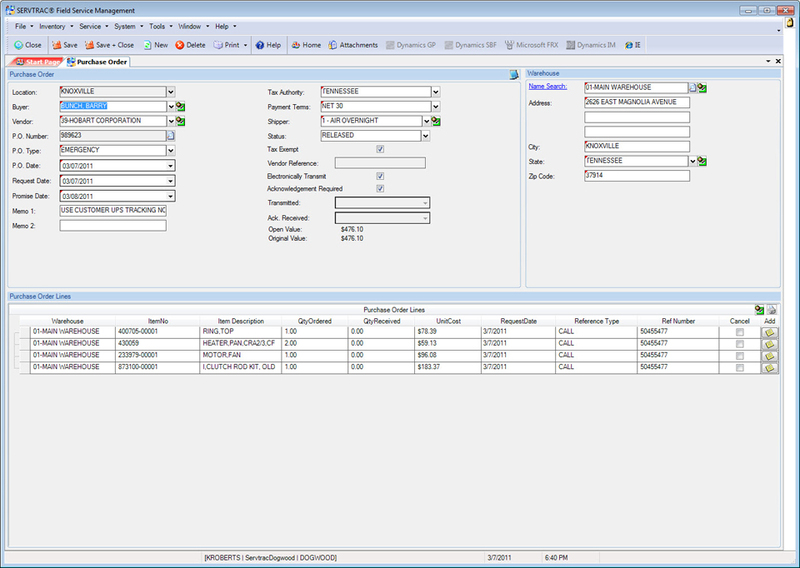 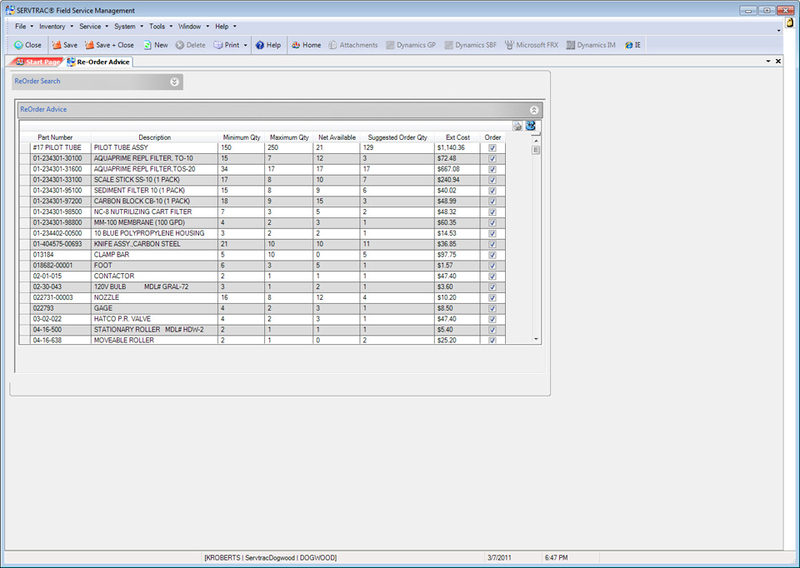 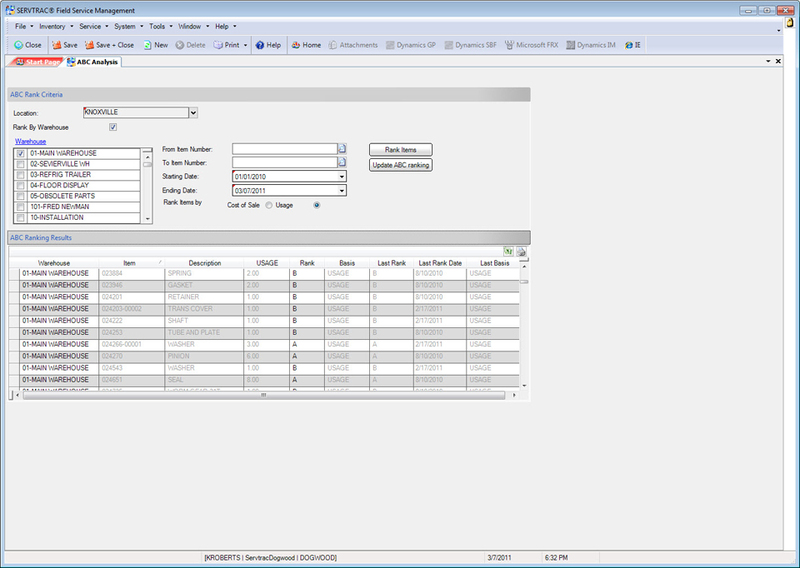 Create, track, receive and invoice parts orders within the SERVTRAC® Purchase Order modules. 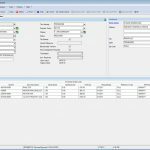 Multiple tools exist to increase efficiency, streamline supply management and drive profitability. 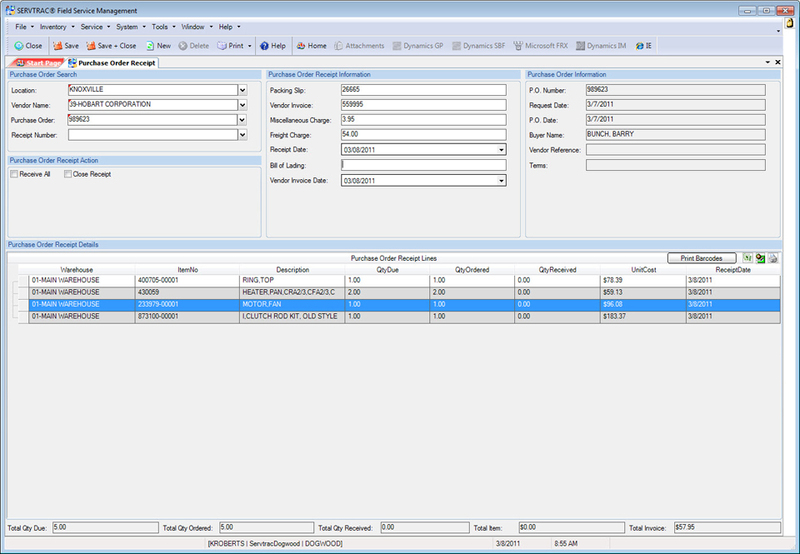 Organizations have access to utilities such as Min/Max Calculation and Re-Order Advice, which help simplify stock replenishment by using historical movement data to set minimum and maximum levels on active parts and advise users when re-order thresholds have been reached. 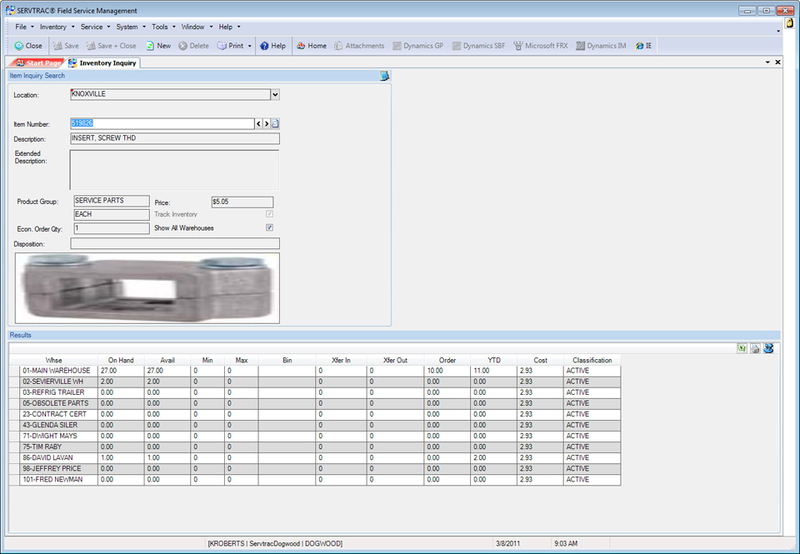 Real-time integration from SERVTRAC® mobile drives parts requests from technicians directly into Product Service. 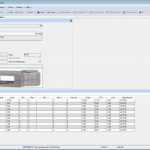 As a result, organizations can enact just-in-time inventory management for parts needed to complete service calls. 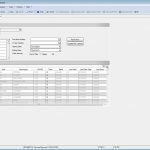 Product Service combines multiple key inventory processes into one dashboard, streamlining processes and giving users the ability to accomplish daily tasks from one screen. 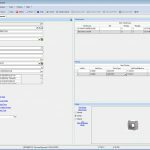 Access to manufacturer parts lists, local warehouses, and technician vehicle warehouses provides the ability to source parts, view stock levels and more accurately project repair time. 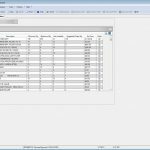 Parts lists received from technicians in the field are either filled from on hand stock or converted into purchase orders. 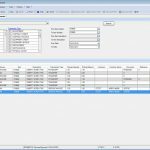 Lists are automatically linked to a scheduled call, purchase order, stock transfer or sales order to ensure items are allocated correctly once received.